When I was asked to be the Interim Director of the library I had a problem. I mentioned this at the end of the last post. Why had God allowed me to pursue something like the Apprentice Experience, why had I gone through the effort of trying to start a ministry, why was I passing myself off as Spiritual Formation expert through blogging and mentoring if God’s plan for me was to have a management position full of paper work, budgets, staffing headaches, and limited resources? What was the point of all of my efforts to help others Grow Up if God had something unrelated in mind. This is not what I asked for. Yes, I could do both. I could bring all that I have learned through the Apprentice Experience, through my years of studying and caring about issues of Spiritual Growth, and my care for other people’s spiritual life and blend it into my role in running a library. I was at Dallas Baptist University for crying out loud, it wasn’t like I would be barred from bringing the spiritual into the workplace? I began to envision a work environment where our staff could connect and care for one another, where our student workers could grow and develop as adults, professionals, and believers, and our student patrons could be inspired, invigorated, and blessed by our work. God helped me see a library that could be a beacon of light and learning on the campus. Just minutes before, I was dreading the next to-do item, the next crisis, the next urgent moment of overwhelm. Now, after God told me I could do both, ideas started flooding into my mind. I had inspiration after inspiration for ways to develop our staff, to enrich our spiritual lives, and to serve our students. I went from being just a person with added responsibility to a leader who had the inspiration and the Spirit-led direction to change things up, to try out new things, and to attempt to be who Christ would be if he were name Interim Library Director. What did I have to lose? So I gave it a shot. Find out what I have tried and how God has worked in Part 3 on Monday. 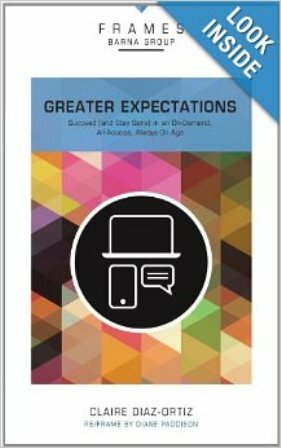 In Greater Expectations: Succeed (and Stay Sane) in an On-Demand, All-Access, Always-On Age , Claire Diaz-Ortiz discusses a particular problem and one that constantly tempts me. Diaz-Ortiz laments the time and soul sucking nature of constant information and social media. She honestly admits that her responsible and vocational intentions often fly out the window due to the appeal of one more tweet to read or one more video to watch or one more comment to write. She wisely realized that if she didn’t develop a plan to intentionally bring prayer, personal enrichment, exercise and planning to her day, the technology tidal wave would take over and she would be at its mercy. So she developed the PRESENT method, which stands for Prayer – Read – Express – Schedule – Exercise – Nurture – Track. – Diaz-Ortiz seems to want to emphasize doing these things before turning on any electronic device. So obviously, the preferred time would be in the morning. If you were to take her suggested allotment for each section it would take you around 85 minutes to complete. Who has that kind of time during the morning routine? As I consider what needs to be part of my devotional life – prayer, reflection, study, and silence – this plan helps make this possible. Again, all of this is designed to be done with our devices turned off. It has been enriching to me, though challenging, to focus on truly meaningful things as my day begins instead of gorging myself on the latest news, sports, and social media firestorms. Diaz-Ortiz maps out a solid path to take back our own personal growth. 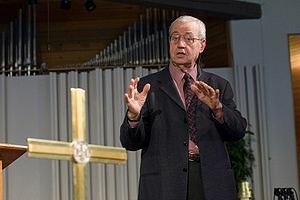 Though plans are often too involved to truly be followed, any intentional person could take some of Diaz-Ortiz’ ideas and bring benefit to their personal and spiritual life. According to researchers, will power is not so powerful and those that possess the ability to avoid temptation are not mentally stronger than everyone else, they just know how to redirect their attention away from the temptation so that their weak will power will not be tested. Thankfully, Christians are not left with just the limited nature of their will power. 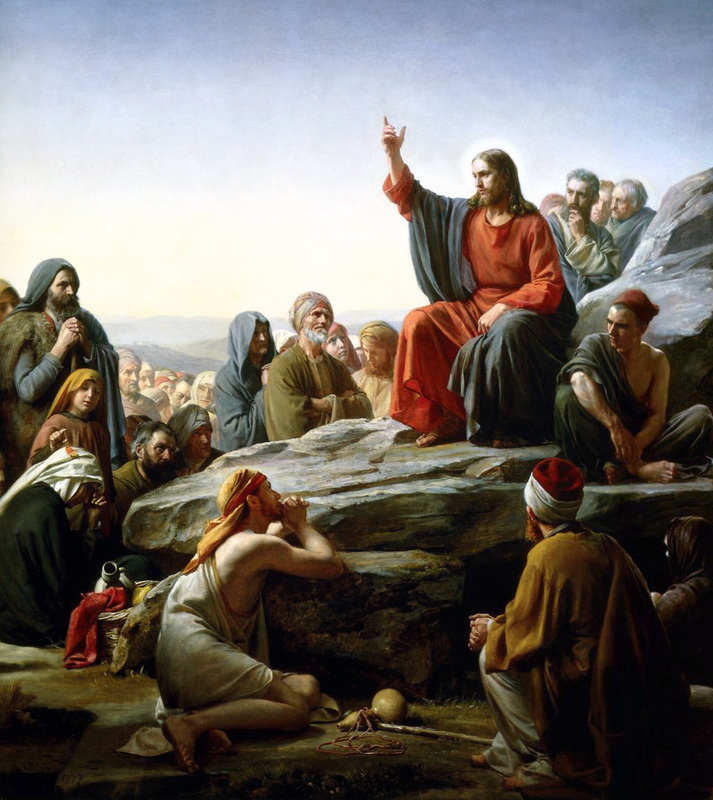 Jesus’ emphasis in his teachings, especially in the Sermon on the Mount, was on the heart. He says to first, “clean the inside of the cup, so the outside will become clean also.” The problem with change that relies so heavily on will power is that it is focused on the surface of the person and not the inner character. If I am going to become a kinder person, I have to first become the type of person who would naturally be kind. If I am going to be of service to others, I have to first become the type of person who would serve naturally. Gritting teeth and tapping into will power will fail 80% of the time and always has its limits. Real power comes from taking Jesus into our hearts and letting him start to change us from the inside out. The change has to come in the heart before it will manifest itself into action. This is a much better strategy for change than will power. Easier too. What can you do today to change from the inside out? Acknowledge that your will power is weak and not very helpful. Focus on Christ’s work inside you and not on the outside results, those will come.